Reminiscent of “La-La Land” meets “Moonlight”, this coming-out story features exhilarating and yet tender musical numbers. Saturday Church is the journey of Ulysses, a young gay man from the Bronx who comes to find his queer family on the piers of New York’s West Village. Adolescent Ulysses is just beginning to explore his identity and sexuality at his home in the Bronx when his domineering Aunt Rose demands he put an end to it. He soon finds supportive friends and inspiration in the Village, but with the understanding that Aunt Rose is waiting back home. 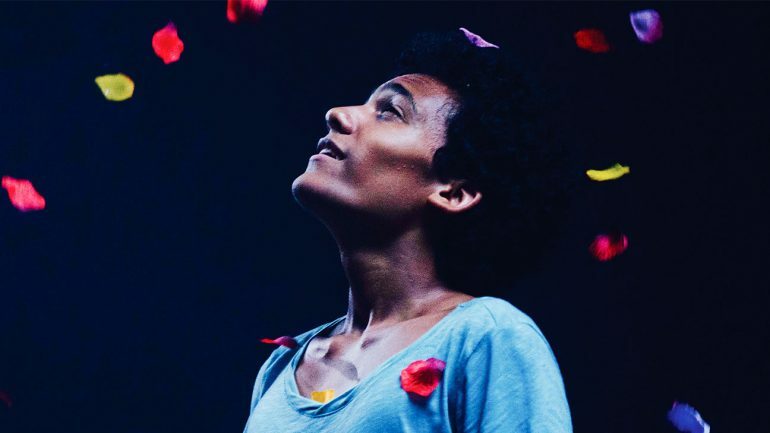 It’s a complicated life Ulysses leads, and Damon Cardasis’s musical coming-of-age story is all the better for tackling multiple sides of the young Latino and Black LGBTQ experience, with compassion and heart combined.